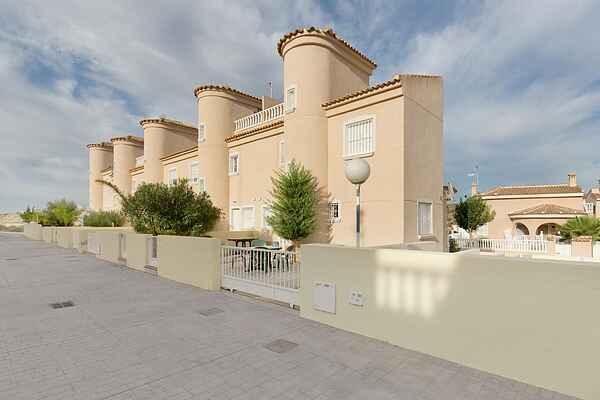 This welcoming and fully equipped terraced property with its own garden is situated in a small urbanisation called Rojales Park. There is a total of 14 accommodation units divided across two rows. The park has a shared swimming pool where guests can take a delightful refreshing dip. Cars can be parked on site and there is also plenty of on-street parking. The 18-hole La Marquesa golf course is within walking distance and there is a wonderful beach less than ten kilometres away from the property providing a great option for a day at the beach. The rugged surroundings also provide plenty of opportunities for hikers. The town centre is just one kilometre away and offers a full choice of entertainment.